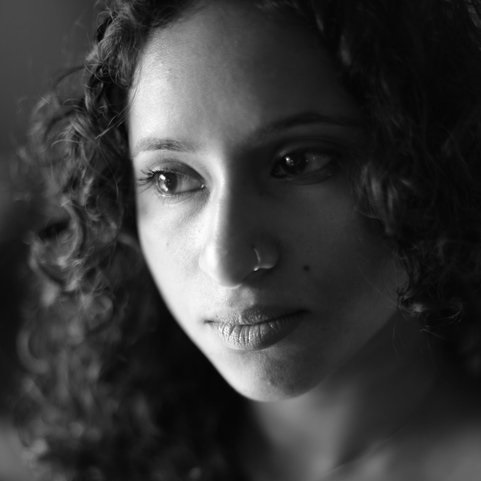 Born in Brooklyn and raised in west Texas, Tarfia Faizullah is the author of Seam (Southern Illinois University Press, 2014), winner of the 2012 Crab Orchard Series in Poetry First Book Award. Her poems appear in American Poetry Review, Ploughshares, The Missouri Review, The Southern Review, Massachusetts Review, Ninth Letter,New England Review, Washington Square, and anthologized in Poems of Devotion, Excuse This Poem, The Book of Scented Things, and Best New Poets 2014. A Kundiman fellow, she is the recipient of an AWP Intro Journals Project Award, a Ploughshares Cohen Award, a Fulbright Fellowship, a Copper Nickel Poetry Prize, a Dorothy Sargent Rosenberg Prize, scholarships from Bread Loaf Writers’ Conference and Sewanee Writers’ Conference, fellowships from the Kenyon Review Writers’ Workshop and Vermont Studio Center, and other honors. Tarfia is a poetry reader for New England Review and is a contributing editor for Four Way Review, Failbetter, and Asian American Literary Review. She lives in Detroit, where she is a writer-in-residence for InsideOut Literary Arts and co-edits the Organic Weapon Arts Chapbook Press & Video Series with Jamaal May. In Fall 2014, she will join the University of Michigan Helen Zell Writers’ Program as the Nicholas Delbanco Visiting Professor of Creative Writing in Poetry. 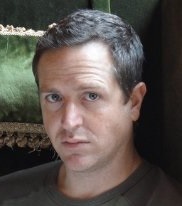 Hugh Howey: “Born in 1975, I spent the first eighteen years of my life getting through the gauntlet of primary education. While there, I dabbled in soccer, chess, and tried to write my first novel (several times). New York Times bestselling biographer Brian Jay Jones spent nearly two decades as a public policy analyst and speechwriter, before turning to biography full-time in 2007. He presently serves as president ofBiographers International Organization. Brian’s most recent book, Jim Henson: The Biography (Ballantine, 2013) was a New York Timesbestseller, and chosen as the Best Biography of 2013 by Goodreads, as well as one of the year’s Top Ten books by CNN viewers. The first full-length biography of the iconic creator of the Muppets, Jim Henson: The Biography was hailed as “illuminating” (The Atlantic), “insightful” (Parade), “masterful” (Kirkus) and “compulsively readable” (The AV Club). Brian’s first book, Washington Irving (Arcade, 2008), was praised as the definitive biography of American literature’s first popular author and pop culture icon. The Associated Press deemed it “authoritative,” the Washington Post called it, “engaging, clearly written, and well researched,” while the New York Times summed it up simply as “charming.” Which pretty much made his year. Born in Kansas and raised in Albuquerque, New Mexico, Brian has a degree in English literature from the University of New Mexico, which he immediately parlayed into a brief career as a manager of a comic book store before getting into politics and writing. For nearly ten years, he worked as a policy advisor in the United States Senate, serving in the office of U.S. Senator Pete V. Domenici, and then on the U.S. Senate HELP Committee for Chairman James M. Jeffords. He has also served as an associate state superintendent of education for the state of Arizona, and a policy analyst for a county councilmember, officially giving him the government service hat trick. Brian now lives in Maryland with his wife and a very excitable dog. His daughter is presently away at college, majoring in physics–or, as Brian calls it, “foreign language.” He is presently at work on a biography of filmmaker George Lucas for Little, Brown, to be published in 2016.